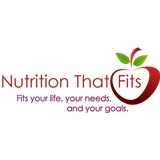 Nutrition That Fits (Chicago) - Book Appointment Online! People often expect that I will approach them with a list full of “don’ts”. Some clients even go so far as to have one last indulgent meal the night before they come in for an appointment with me. However, one of my major goals in nutrition therapy is make transition comfortable for my clients while still being effective. I've only had one meeting with her, but she made a couple of observations after just speaking for about 30 minutes that I found very interesting, I shared them with my husband and he agreed that they were pretty insightful. I will definitely go back to see her as I think this journey will be very beneficial for me.